Hey everyone! 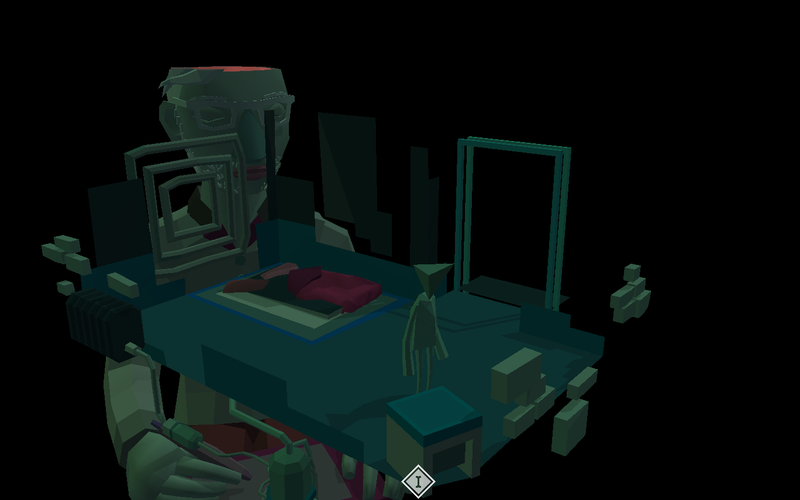 Welcome to another edition of itch Digest! As always, we've got news to share, and awesome games to show off. The holiday season has swept right by, and we welcome 2017! This week we're showing off just a few of the many titles that have caught our eye recently here at itch.io. Don't know what to check out first? Let the randomizer offer some suggestions! Here are a few titles we wanted to give a shoutout to this month. We would love to highlight each and every game from our talented creators, but today we're calling out several that really caught our eye. For even more great games, be sure to check out the randomizer, you never know what it'll have to show you! 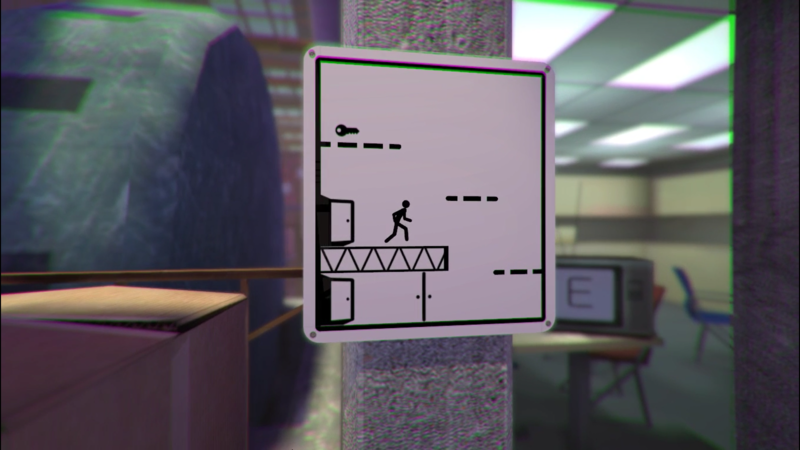 Antihero by @vs_evil [Windows, Mac, $10.00] Run a thieves' guild in a corrupt, gas-lit underworld. 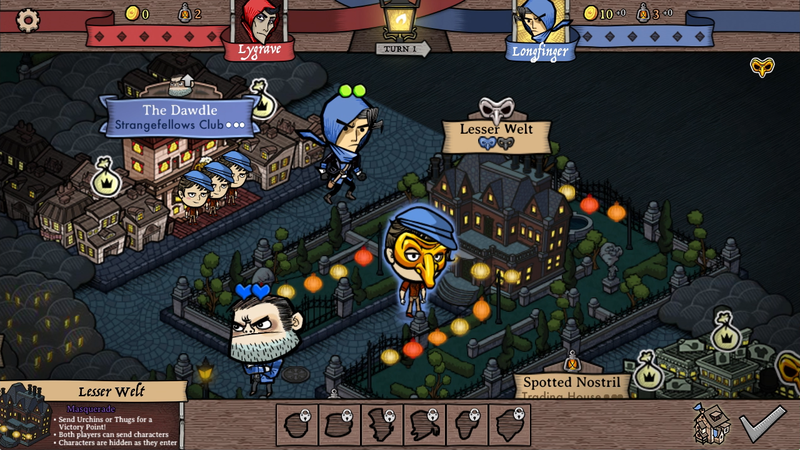 Antihero is a fast-paced, multiplayer strategy - with an (Oliver) Twist. Check it out now in First Access! Noodles by @zerbamine [Name your own price, Windows, Mac] Your friend Bouba is working over-time again, but it's not any job she enjoys doing. Who would, though. 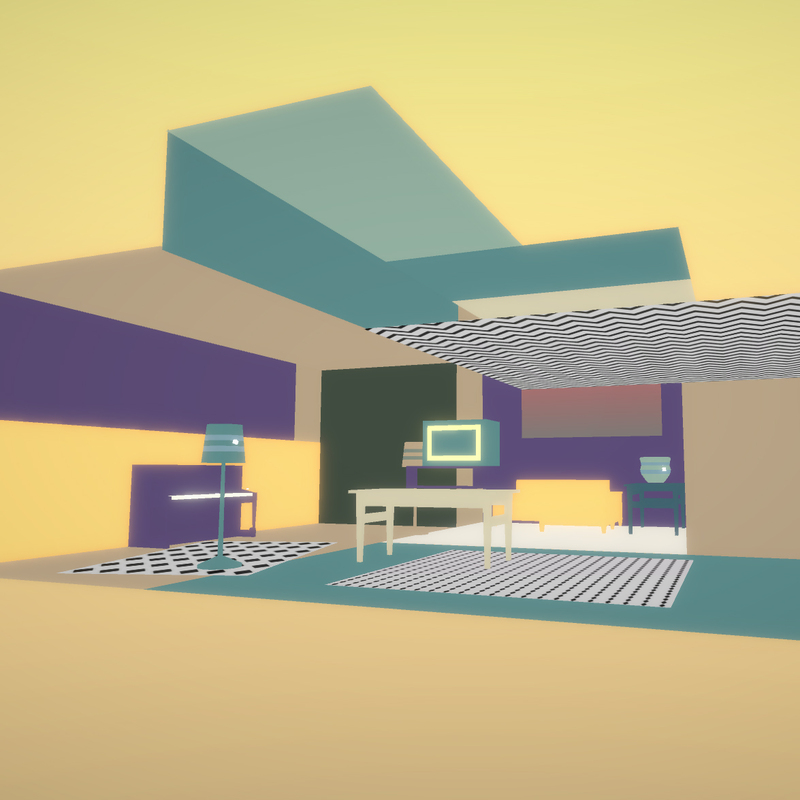 Noodles is a game about friendship, and making noodles. While we haven't mentioned it in awhile, work on translating the app is ongoing. 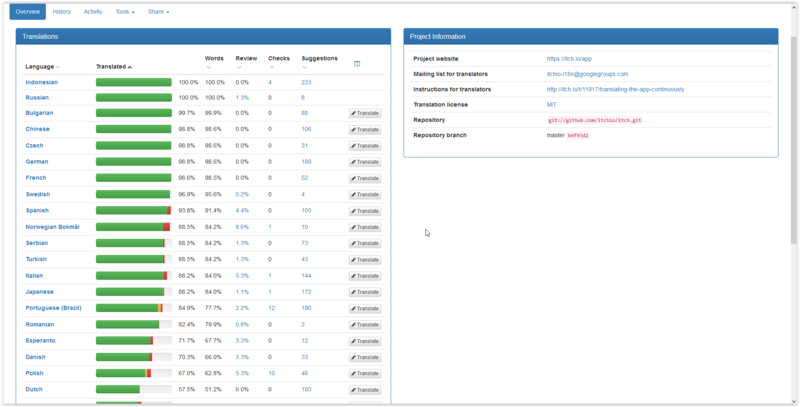 We've got a project page for the translations set up on Weblate to track what's been done, and what still needs to be worked on. A number of languages, such as Russian, Indonesian, Chinese, German, and French are complete, or very near completion. Many others, such as Japanese, Spanish, Swedish, and Italian are well under way, but still in need of work. If you're handy with translation and want to help, be sure to head over to Weblate and lend a hand! We're grateful for all the work that's been completed! You can follow new releases of the app on our GitHub, as well as check out previous release notes here. The app updates automatically, or you can download a fresh copy from https://itch.io/app.